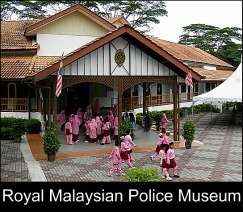 Since 1997 the RMP Museum has been housed at No.5 Jalan Perdana (formerly Jalan Venning) in a building which used to be the Senior Police Officers' Mess. 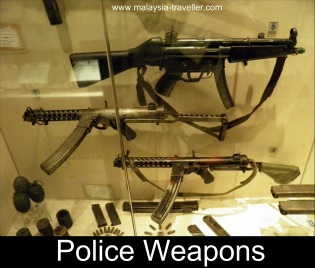 Walking through replicas of old Malacca streets you learn about policing during the Portuguese and Dutch colonial eras before arriving at the British era where today's RMP has its origins. 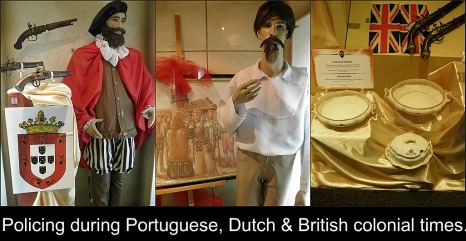 You see examples of police uniforms through the ages together with other artefacts such as a set of ceramic soup tureens used by Straits Settlements police officers in Penang during the 1820s. 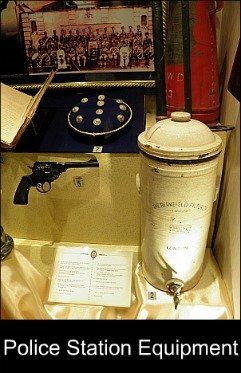 There are also some interesting displays on the police's role in fighting organized crime syndicates' drugs and forgery operations and in busting secret societies (triads). 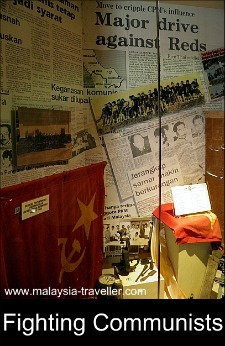 One display shows the equipment used in the swearing-in ceremony of Ang Bin Hoay (one such secret society) which involves decapitating a white cockerel. In my opinion this is an excellent museum and well worth spending an hour or two. There is a lot of detailed information and it is well displayed. The police staff manning the reception desk were polite and helpful. It is also free. I suggest combining the visit with the Islamic Arts Museum next door, another excellent museum. 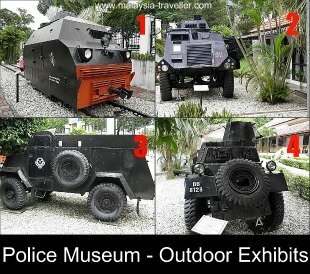 The Royal Malaysian Police Museum does not appear to have its own website at present. Free parking is available at the entrance which is behind the Islamic Arts Museum. The old Kuala Lumpur station is around 5 minutes walk away.